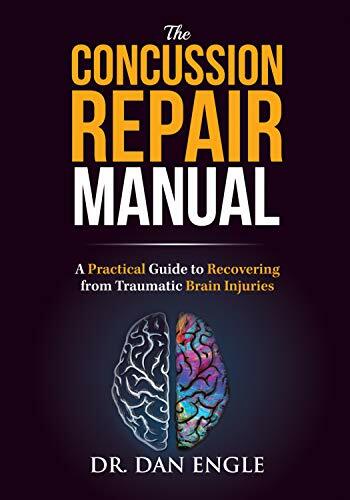 A concussion is traumatic injury to the brain caused by a hit or blow to the head or body that causes the brain to move or bounce around within the skull. This impact can create a chemical change in the brain – either temporarily or permanently – and can sometimes damage brain cells. When impact is sustained, the movement of the brain within the skull can cause bruising, swelling and injury to the nerves. Concussions, also referred to as Traumatic Brain Injury (TBI), should be taken seriously, regardless of the severity. While most concussions are not life-threatening, any impact to the head or body resulting in dizziness, a feeling of pressure in the head, temporary loss of consciousness, or nausea and vomiting, should be tended to by a qualified medical practitioner. How Can You Get a Concussion? High intensity, high acceleration activities like football, soccer, hockey, skiing and snowboarding, bicycling, or lacrosse are all sports where players are at risk. Any sport or activity where impact between players may occur should require the use of a helmet or other protective gear to minimize the likelihood of and injury resulting from a blow to the head. Concussions can also result from falls, accidents, rough play, or the impact of a blunt object with the head. Whiplash, which is forceful, uncontrolled movement of the cervical spine resulting in severe neck pain, is sometimes diagnosed with concussion. However, these two conditions are medically different and having one or the other does not mean a patient will have both. How Do You Know If It’s a Concussion? TBIs are difficult to diagnose. A visible injury such as a cut or bruise does not mean that a TBI is present. The same visible injury can cause concussion-like symptoms such as dizziness and or headache, but not be a traumatic brain injury. Sometimes the symptoms are minimal and brief, but the injury is still there, undiagnosed. Making diagnosis more challenging, signs and symptoms may not appear for a few days or weeks after the accident has occurred. The most common symptoms are headache, confusion, and memory loss. Many times the individual will have no memory of the event. Further indications may include ringing in the ears, slurred speech, nausea and vomiting, “seeing stars” and fatigue. Additional symptoms may present after the trauma, including, problems with concentration and short term memory, sensitivity to light and noise, taste and smell sensitivities, and sleep disturbances. If more than one of these signs appear, the individual should seek medical attention immediately. After a preliminary evaluation of medical history and accident or cause of impact, a doctor will typically perform a neurological exam to determine vision, balance, hearing and reflex responses. The evaluation may also include cognitive testing to compare with previous baseline testing and discern the impact to memory and concentration. Achieving a correct diagnosis in children may be more challenging, so the caregiver should report on noticeable changes in energy, balance, sleep, and if the child is more irritable or listless than normal. With this information, a more accurate diagnosis can be made. Ideally, all athletes should perform baseline testing prior to any brain injury. This way once an injury has occurred, the individual can be tested again to determine the extent of injury to the brain. Without baseline testing, no comparison is able to be made. The doctors are then left guessing as to how badly the injury actually is. In most cases, rest is the best cure. Since trauma to the brain may impact the senses, it is also advised to limit activities that require concentration (good news for homework avoiders! ), or eye strain such as computer work, texting, video games, reading, or watching TV. Furthermore, any activity that causes impact, like running, jumping or paying sports should be avoided. The brain needs time to restore its normal function and balance after a concussion, so limiting all activity is really the best medicine. 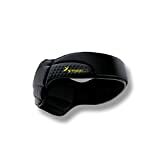 Rated as the #1 soccer head guard by Virginia Tech, with an estimated 84% reduction in risk of head injuries. Engineered to meet ASTM, FIFA and NFHS standards. Once the risk of bleeding around the brain is past, over the counter pain relievers can be used under the direction of a physician to mitigate symptoms such as headache. However, anti-inflammatory drugs should be completely avoided at first because they can cause brain bleeding! Before resuming normal activities, it is critical to check with your doctor or concussion-trained provider who can help determine if the brain and body is sufficiently restored. A structured plan to return to normal activities, like school or athletics, must be established based on the extent of injury and followed closely to prevent ongoing damage and symptoms. Once you have sustained a TBI, you are at greater risk of another one if you sustain an injury or blow to the head. Wearing a helmet for impact sports should always be required of all players, regardless of prior injury history. Many schools and universities now require a baseline (IMPACT) test before playing sports to determine what is “normal” for each individual. This test assists coaches and trainers to more quickly and accurately determine if medical attention is needed after a fall. Unfortunately, the IMPACT test alone can be up to 40% unreliable as an assessment of if someone has sustained a concussion injury. For this reason, it is critical to have a more comprehensive baseline testing protocol that includes balance (vestibular), vision (oculomotor), postural, nutritional, as well as cognitive assessments. While most patents will fully recover, in some extreme cases, long-term disorders like seizures, convulsions, Post Concussion Syndrome, and Chronic Traumatic Encephalopathy may occur. If you have been diagnosed with a concussion in the past and are experiencing any symptoms that are questionable or painful, consult your medical practitioner for immediate care.